BG Group has issued a statement confirming that QGC Pty Ltd and its joint venture partners China National Offshore Oil Corp. and Tokyo Gas have agreed a two-year development of natural gas tenements west of Wandoan, Queensland, Australia. The AUS$1.7 billion investment, which follows receipt of Commonwealth and State Government environmental approvals, will help support gas production from the tenements, of which QGC holds a 73.75% interest. The development is known as Charlie. It involves the construction of 300 - 400 wells, a large field compression station and associated pipelines and facilities which will feed into existing gas processing and water infrastructure at Woleebee Creek. The works are part of the continuous development of QGC’s tenements in the Surat Basin to sustain natural gas supply to both domestic customers and the two-train Queensland Curtis LNG (QCLNG) liquefaction plant on Curtis Island, near Gladstone. 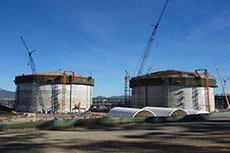 QGC has appointed Leighton Contractors Pty Limited as the main works contractor. Development and construction is set to begin immediately. QGC is to extend the contract of four regional providers of civil construction services in Queensland. QGC has announced that Mitch Ingram will succeed Derek Fisher as Managing Director of the company. 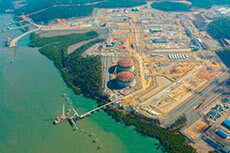 Queensland Gladstone Curtis is currently employing 14 5000 people for LNG projects. QGC Pty Limited, developer of the Queensland Curtis LNG Project, has awarded a A$19.5 million contract to Australian firm Transfield Services for gas field work in the Surat Basin of Queensland.